Send A Message To Val. I come to this work with a depth of experience - I have worked as a therapist for the past 25 years and I have my Masters in Social Work (1992) as well as a Registered Social Worker. I have experience working with individuals of all ages from a variety of backgrounds and life choices. Individual counselling is a relationship that works towards what is best for you. A place where, in confidence, you can explore feelings or thoughts or experiences that you may not -feel able to discuss with others. Life can be challenging and things happen that we don't plan for or expect - and even though we try - we can feel stuck - or that people around us don't understand. I am able to offer a number of strategies and tools to manage issues in life - however - I have learned over the years - that the most important aspect of counselling is grounded in the understanding that we are all the best experts in our own lives - we all have a sense of what we want in our lives -but - maybe not always knowing how to get there. What counselling can offer is a safe space to be heard - to understand the obstacles that keep us stuck. - a space that can help to navigate and to understand one’s life and to gather the resources and courage along with the support to move forward. 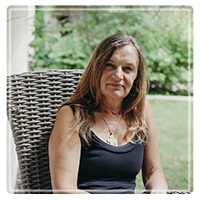 I have worked with a range of issues from anxiety/worry, depression, anger management, communication skills, low self esteem, past abuse, eating disorders, addictions, body image, grief, abuse, relationship conflicts, pregnancy, adapting to change, spirituality, trauma, sexuality, parenting, family conflicts, aging, life transitions in the 20’s, life transitions with parenting, retirement and aging. * That it is wonderful to come to this work with curiosity, creativity and compassion and sometimes a bit of humour. * The resilience and strength in people. * How incredibly important support is. * The power and the gift of faith. * The intrinsic value and the uniqueness of each of us. * That we all know on some level - what we want in life - however - there are often barriers that get in the way. * Understanding what is holding us back is in itself so much of the journey. * The importance of finding a safe space to discover and nurture the wisdom, spirit, hope and strength in each of us. * Answers are easy to give - however - often difficult to apply to our lives without having support. * We all have a story. We can often get caught in a narrative or story of ourselves that can keep us stuck. * Telling our story and understanding the world that we re part of and the difficulties that are being faced is transformative. * The importance of mistakes. * Counselling is good work and a very good journey - full of surprises and is one that makes life richer and bigger. Please call for a free 20 minute consult.